Keep your items safe and dry on your outdoor adventures with Granite Gear's Air Zippditty Stuff Sacks. 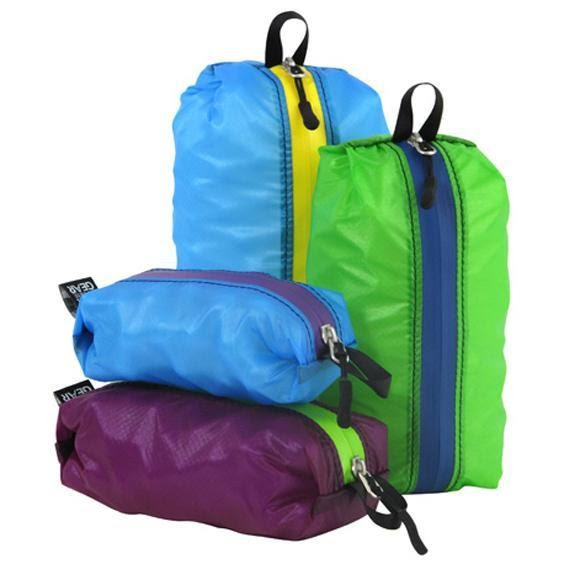 These sacks are much more accessible than a stuffsack and, because of their size and shape, they are easy to stow and pack anywhere. The perfect packing system for organizing smaller items like; Toiletries, Snacks and Tool Kits. Multi-colored for Coded Organizing. Keep your items safe and dry on your outdoor adventures with Granite Gear&apos;s Air Zippditty Stuff Sacks. These sacks are much more accessible than a stuffsack and, because of their size and shape, they are easy to stow and pack anywhere. The perfect packing system for organizing smaller items like; Toiletries, Snacks and Tool Kits. Multi-colored for Coded Organizing.